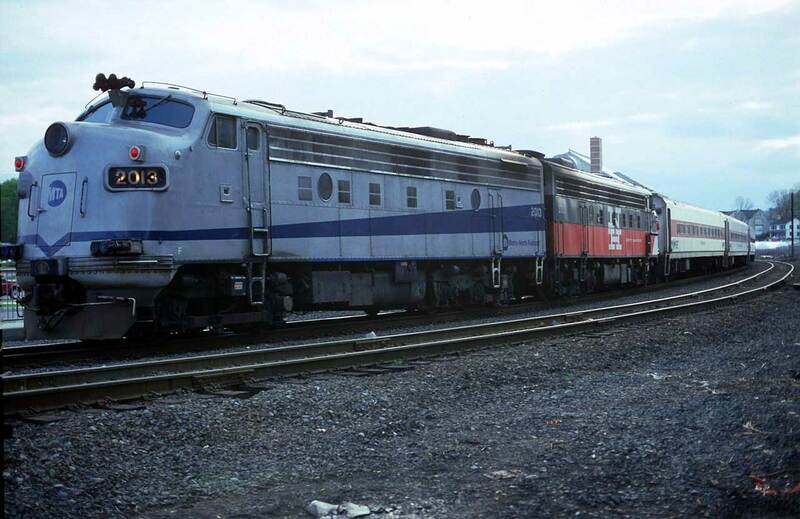 The FL9 Dual Mode (In UK, Electro Diesel) locomotive was one of the longest lived locomotives in main line service in the United States of America. 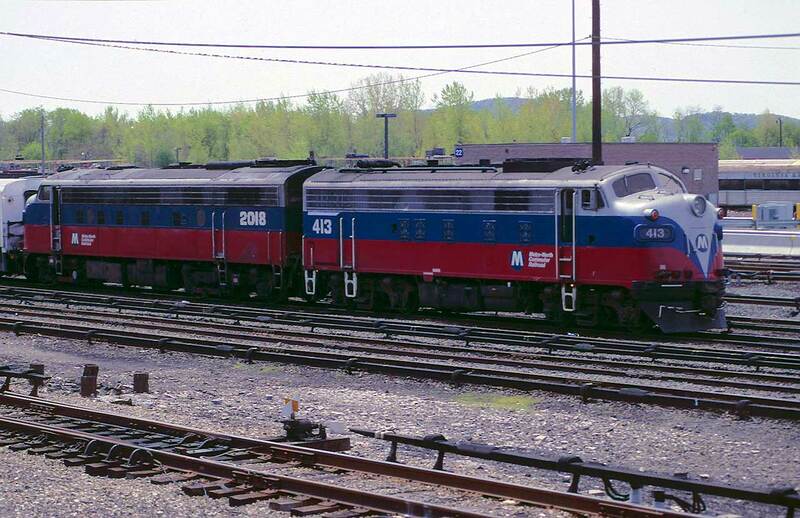 Only purchased from new between 1958 and 1960 by one railroad, the New Haven, (New York, New Haven & Hartford Railroad) they have seen numerous owners and many different colour schemes over the years. 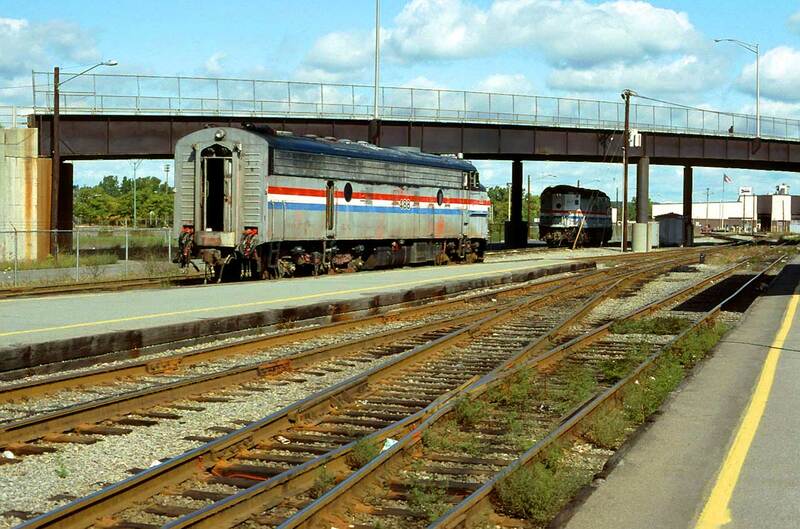 The last FL9 locomotives were retired from regular service in 2009. These are just a few of the many variations. Click on photo for a larger image. Use browser "BACK" button to return. During a layover between trains at New Haven CT, we have our first sighting of an FL9. Steam may have been long absent for pulling trains on USA railroads but it is still in use for operating coach heating and air conditioning. October 1981. 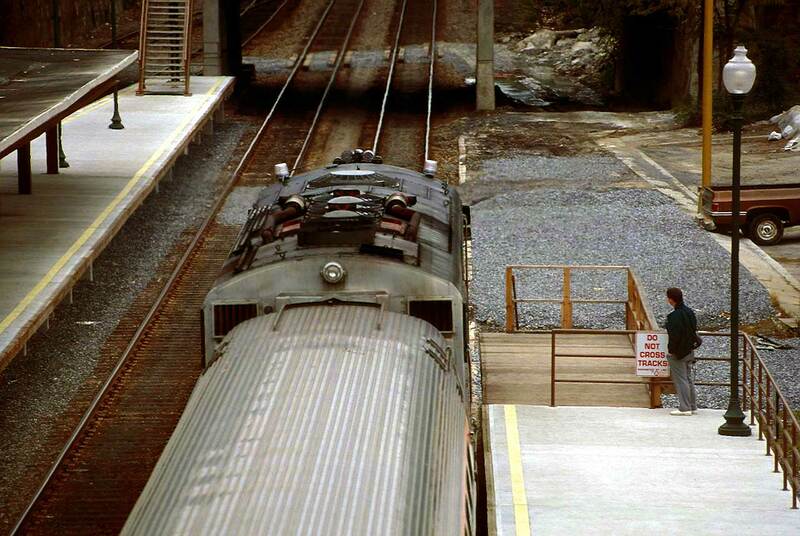 The steam has been discharged and we have a better view of a pair of FL9 locomotives. October 1981. The pairing has now been split and 5034 has been assigned a couple of MU cars. October 1981. 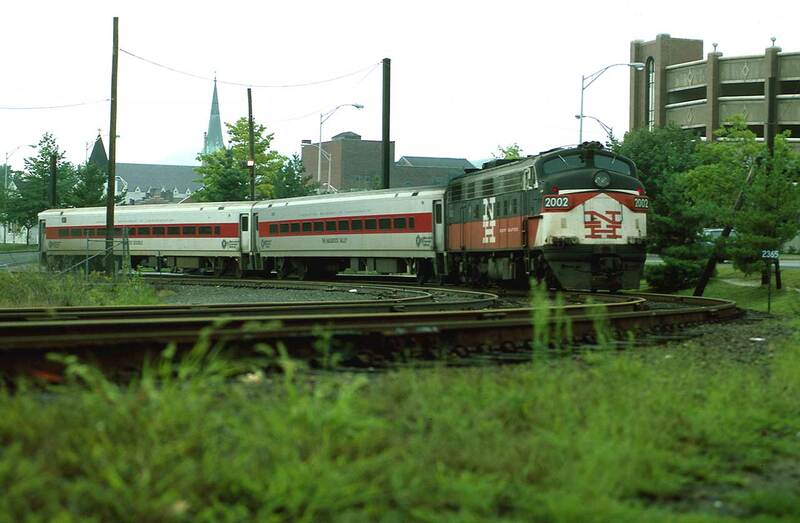 A train consist of entirely ex New Haven equipment. 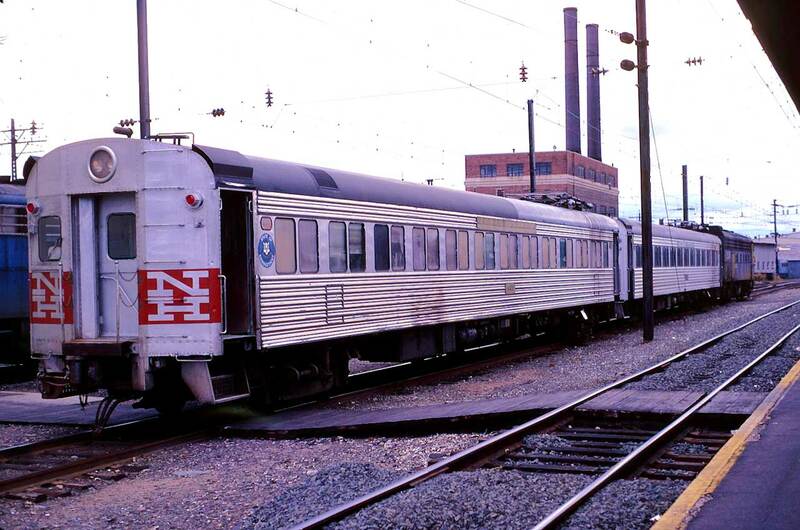 Although fitted with pantographs, the MU cars were powered by the FL9 on diesel power. October 1981. The complete train about to depart. 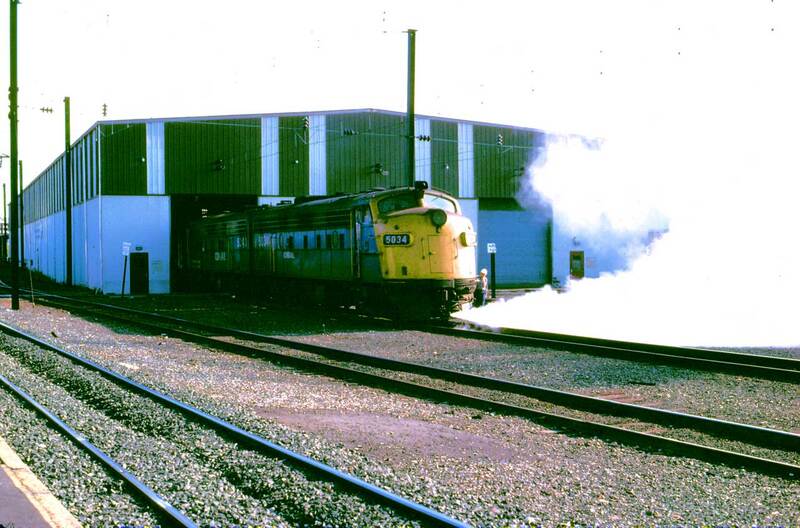 This is possibly car numbers 4418 and 4431. 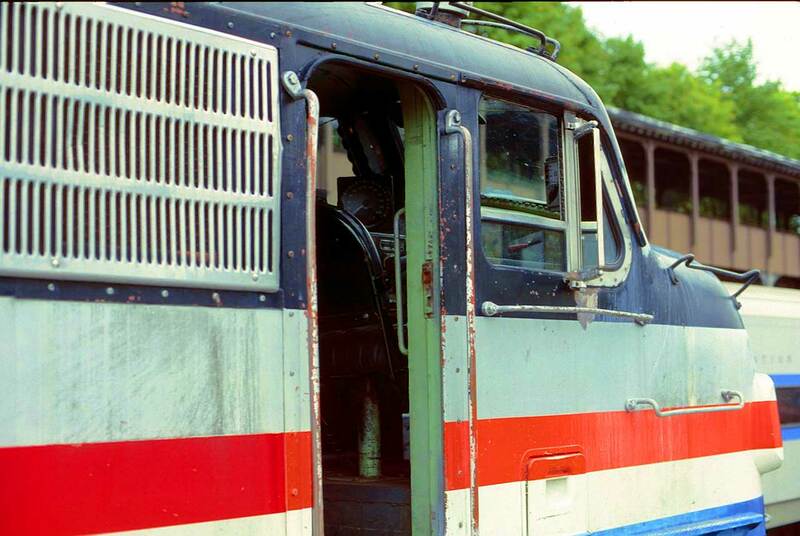 The train proceeded south under diesel power and in non revenue service. October 1981. The following year and we are at Rensselaer NY. The eastbound Lake Shore has arrived and is split into a Boston section and a New York section. 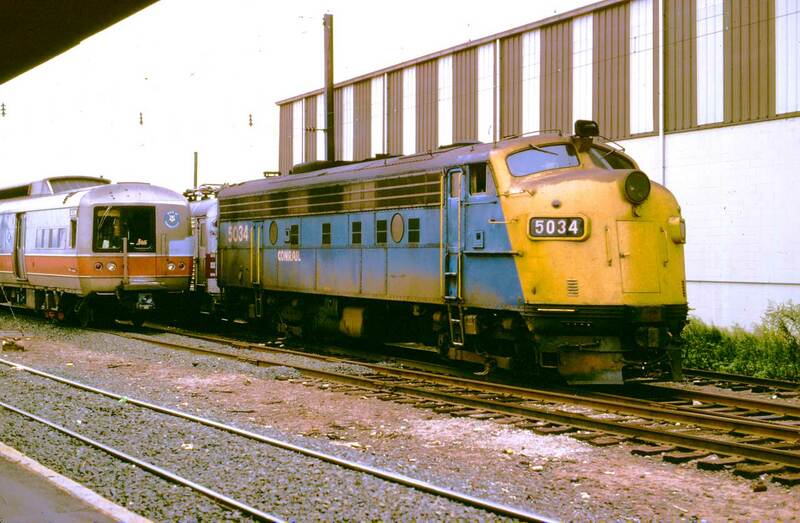 A single F40PH looks after the Boston section and an F40PH + FL9 will take the New York consist to Croton Harmon. 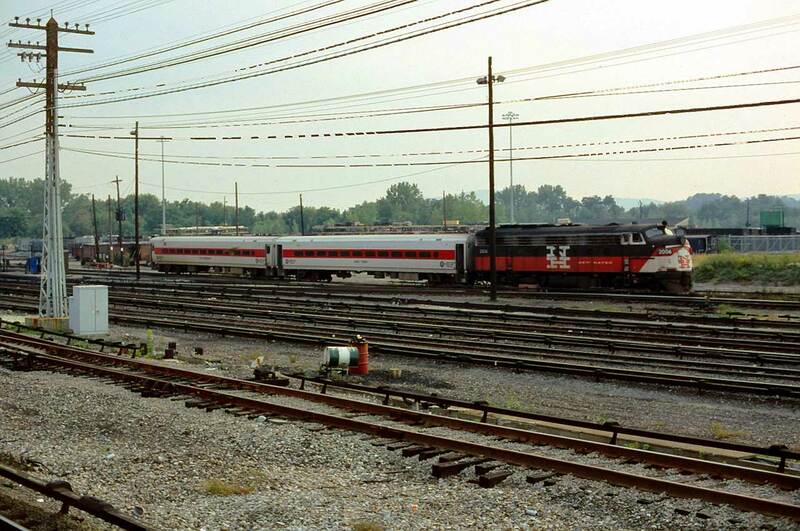 At Croton Harmon the F40PH is detached and the FL9 continues with the train to Grand Central Terminal, New York City. August 1982. 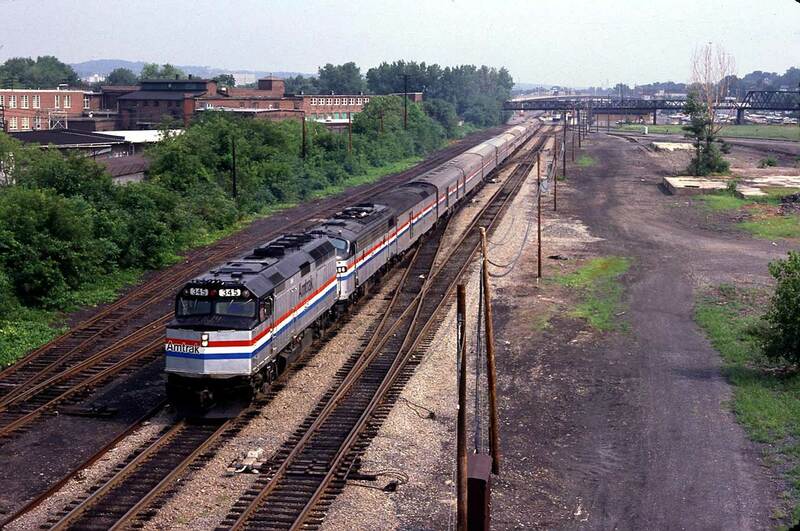 The eastbound Lake Shore departs Rensselaer for New York. August 1982. 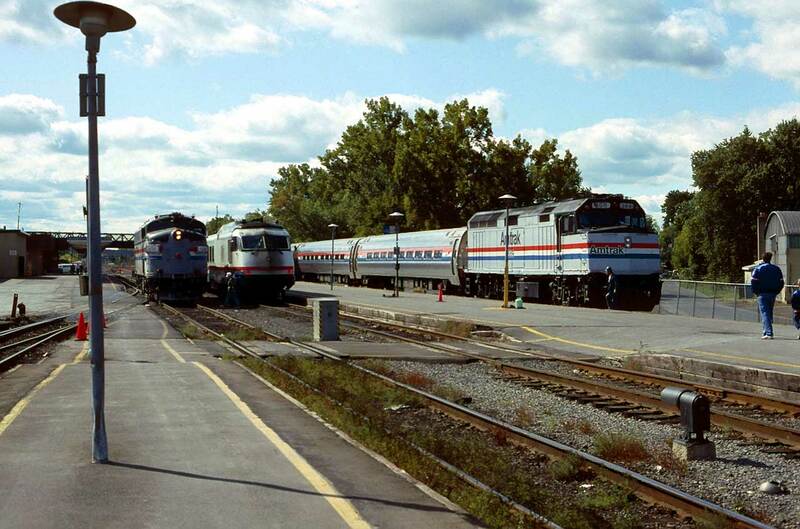 An FL9 and Amfleet cars arrive at Rensselaer from New York with the locomotive now resplendent in Amtrak Phase 3 colours. 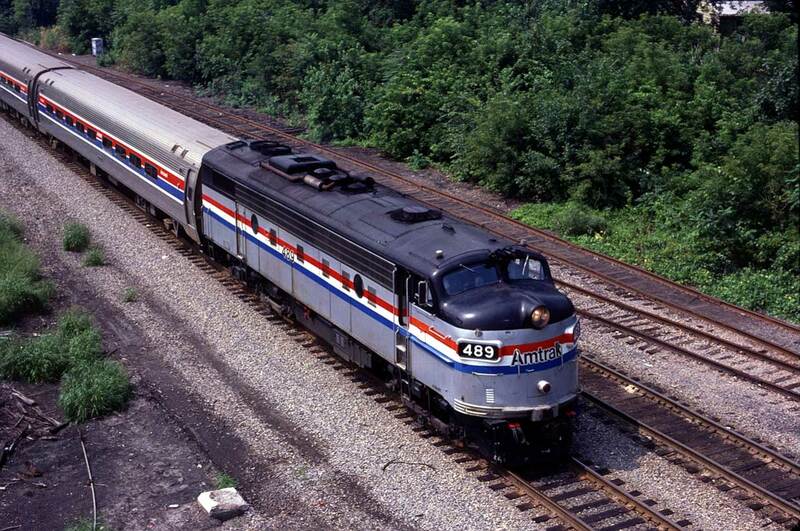 Number 389 was the only FL9 to wear an Amtrak Phase 2 paint finish. August 1982. 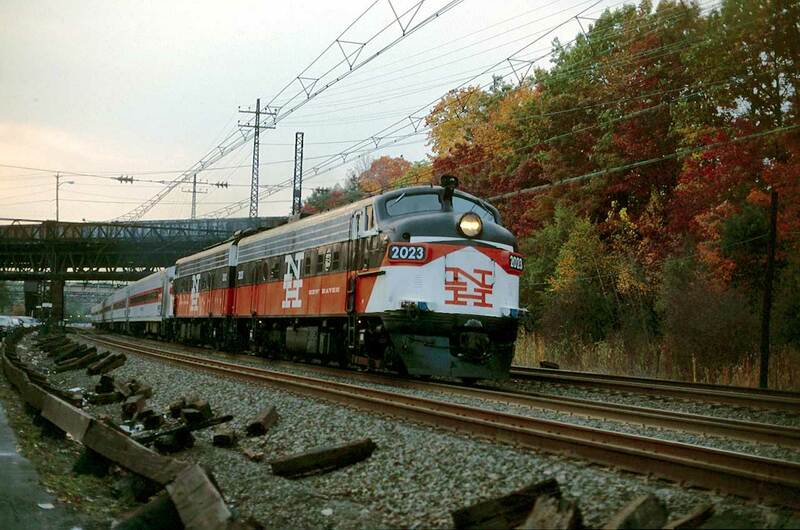 On now to 1987 and we are on the eastbound Lake Shore, passing Croton North and approaching the next stop at Croton Harmon. 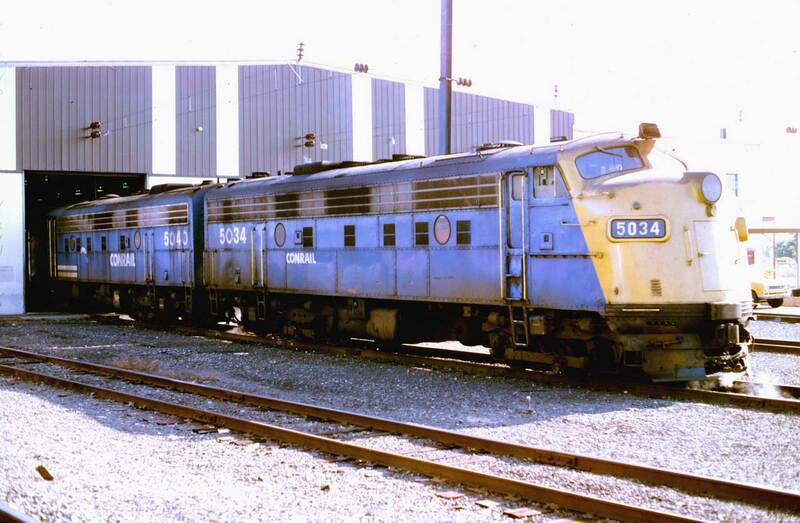 Some less fortunate FL9 locomotives await an uncertain future. September 1987. 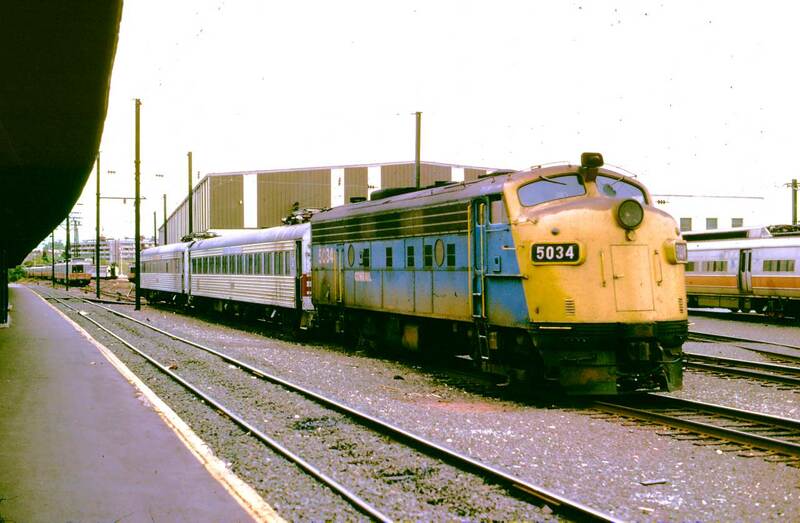 If it were not for the passenger cars, this could be a scene from the 1960's. 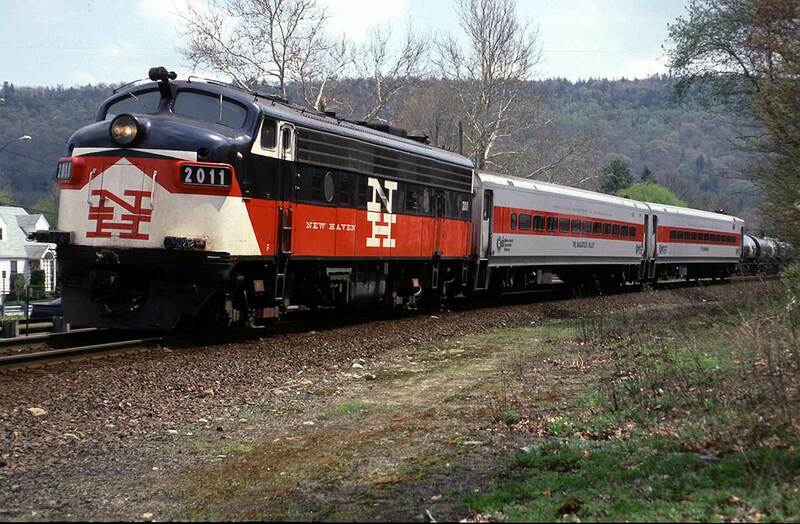 This is Rye NY and the first of the evening New York Grand Central Terminal to Danbury CT trains speeds north. September 1987. 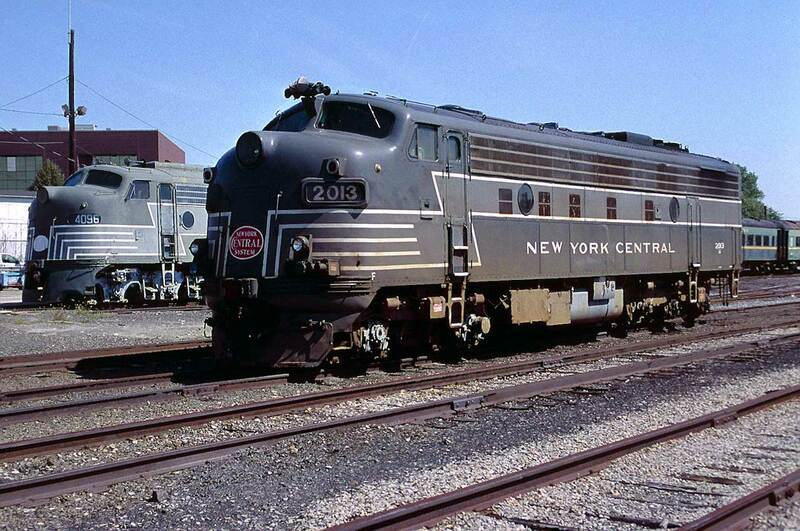 In 1968 when the all black colours of Penn Central was introduced, it was unimaginable that the classic colours of the New Haven would ever be seen again except in a museum. Miracles do happen. 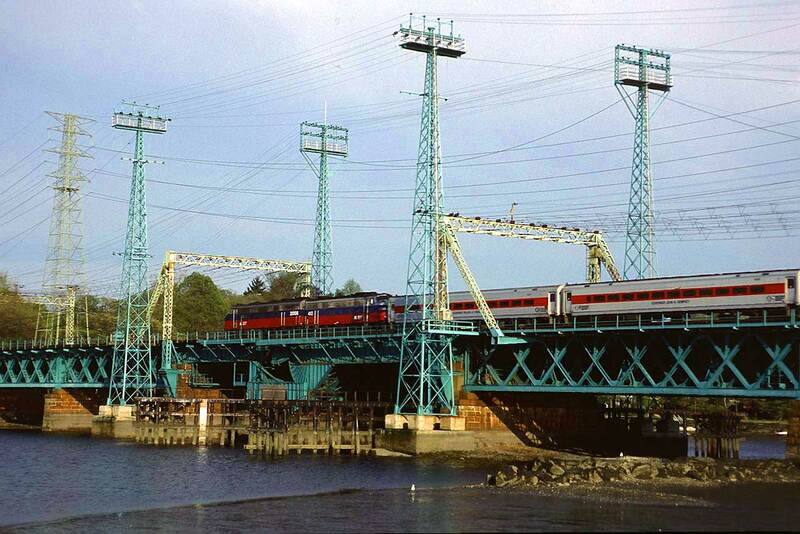 This image is captured from the parking lot at Rye which is on the roadbed of the extinct New York, Westchester & Boston Railroad as can be observed by the extended catenary gantries. September 1987. On now to 1991 and we are back at Rensselaer on the 28th of September 1991. Train 63, the Maple Leaf for Toronto has just arrived at 11:19. The FL9 goes no further and is detached. The FL9 move over to allow an F40PH to be attached to complete the journey to Toronto. September 1991. 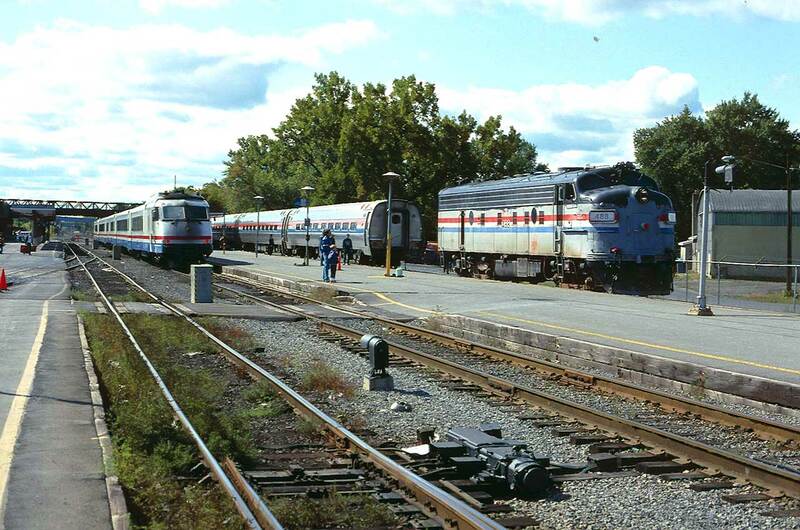 A line up of the power usually seen at Rensselaer with the FL9 passing a Rohr Turboliner and an F40PH ready to depart. September 1991. The eastbound Lake Shore (Late Shore!) eventually arrives and the New York section is made ready to depart for New York with a single FL9 in charge. September 1991. 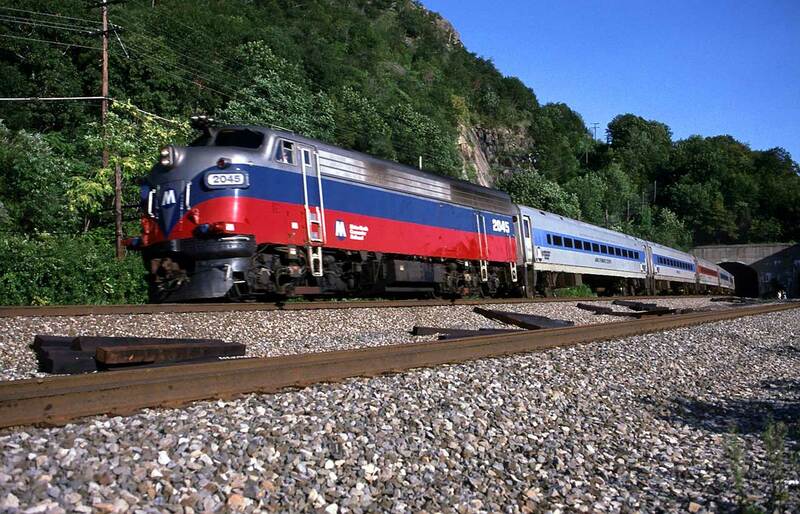 Moving down the Hudson, we are at Poughkeepsie on the 1st of October as a pair of Metro North FL9 terminate their journey from New York. October 1991. 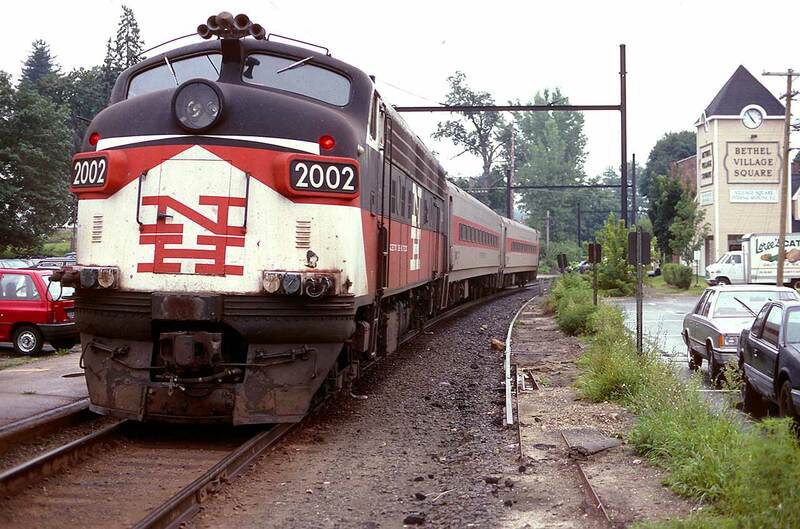 The eastbound Lake Shore arrives at Poughkeepsie, eventually. October 1991. Very inviting! The best seat on the train? October 1991. It would appear that the Lake Shore is too long or the station platform is too short as a wooden extension has been added to the platform to allow the crew a more civilised access to the platform. October 1991. 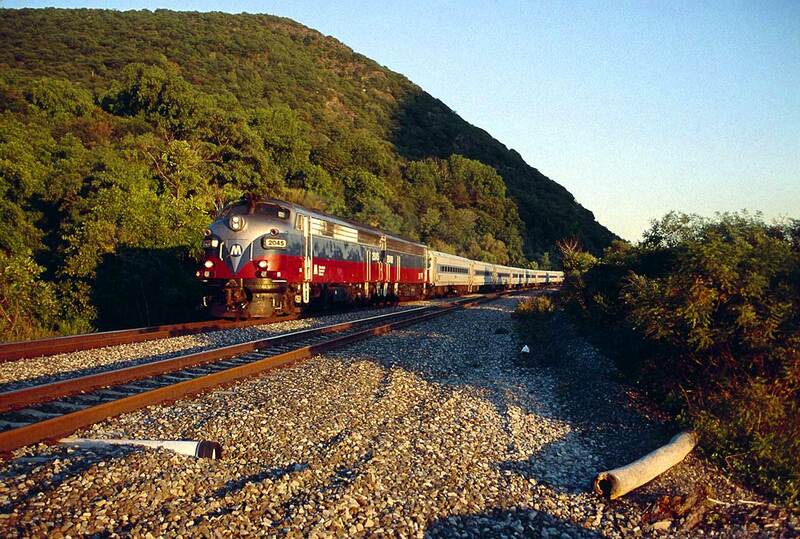 Further down the Hudson and we are at Croton Harmon where a short consist awaits. October 1991. 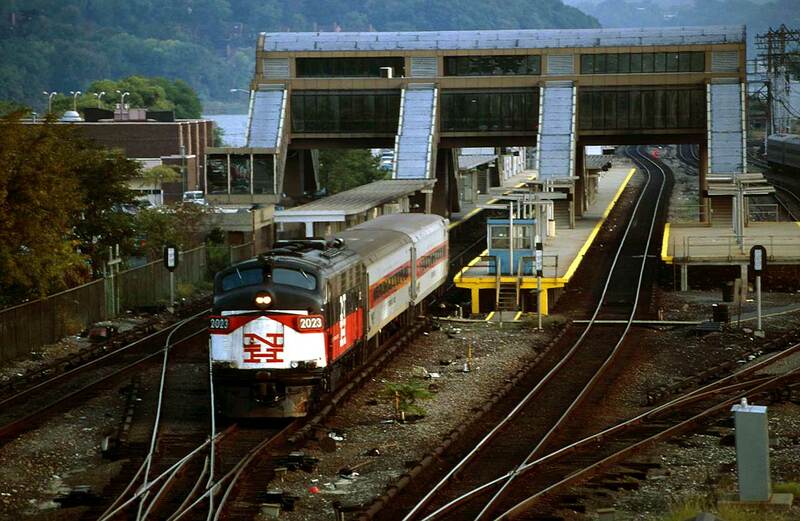 Metro North provide an hourly off peak service between New York and Poughkeepsie. 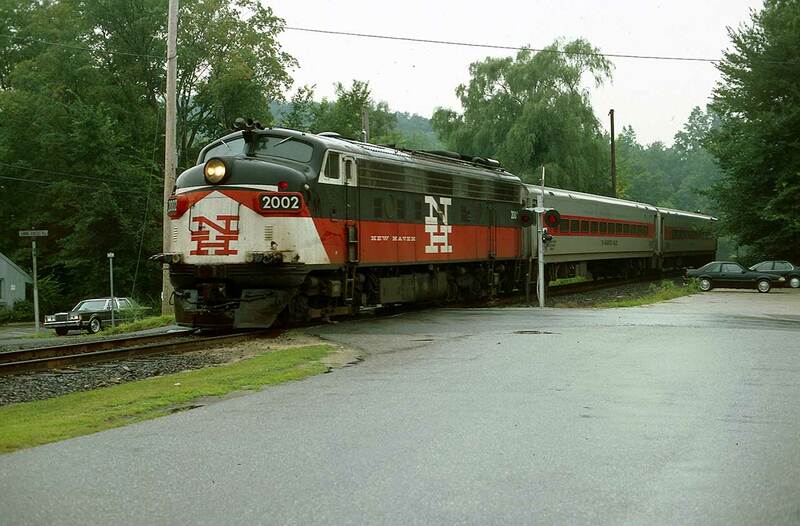 This service has just departed Croton Harmon for Poughkeepsie. October 1991. 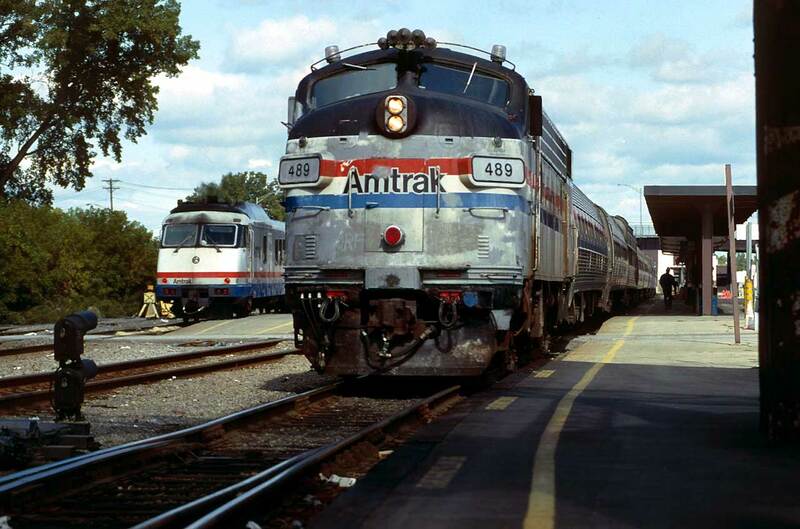 The FL9 and two passenger cars are called into service and heads towards New York. October 1991. 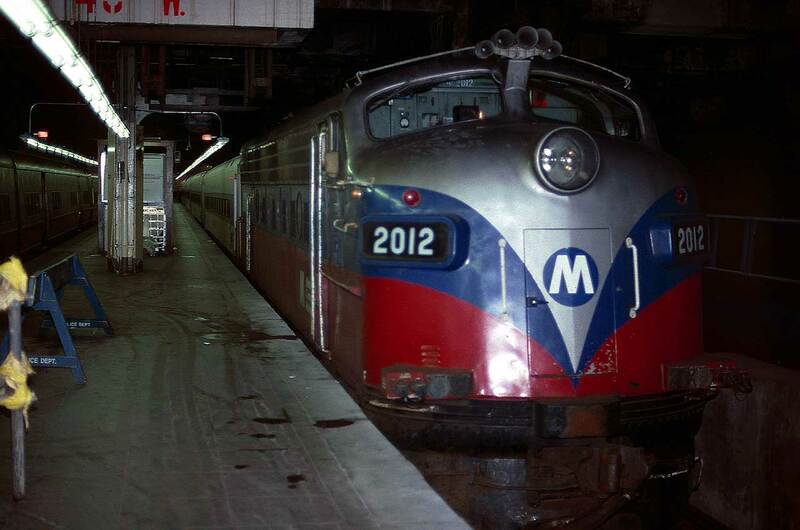 On now to May 1994 and we are in the depths of Grand Central Terminal, New York City. An FL9 awaits the rush of commuters returning home in the evening. 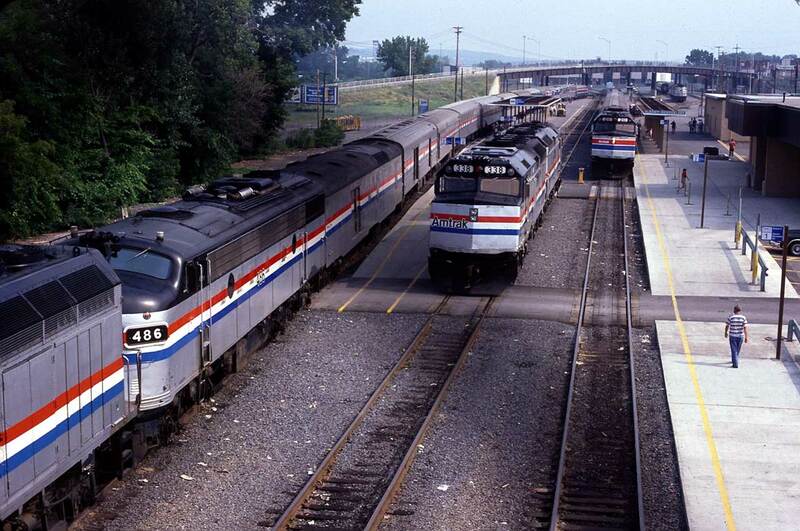 A few months later in August 1994 we are at Redding CT. 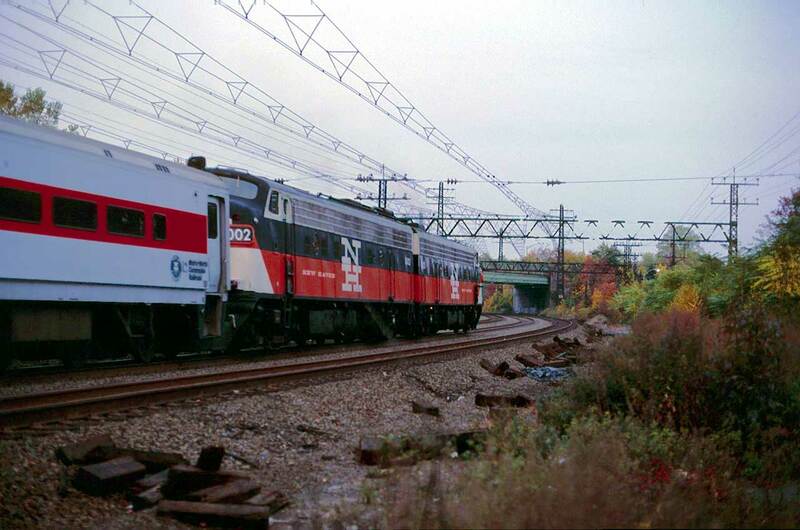 This is a South Norwalk to Danbury service. August 1994. Paused at Redding station, few passengers alight or board. August 1994. 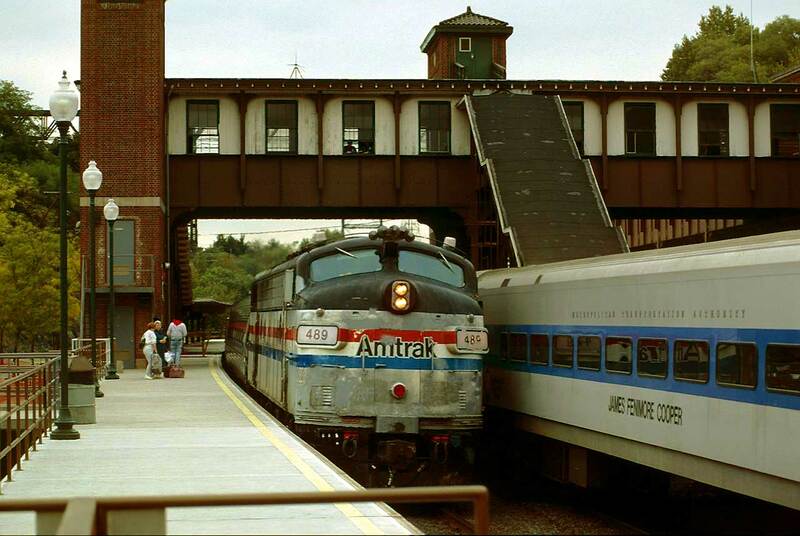 Departing Redding station, the off peak service only requires two passenger cars. August 1994. 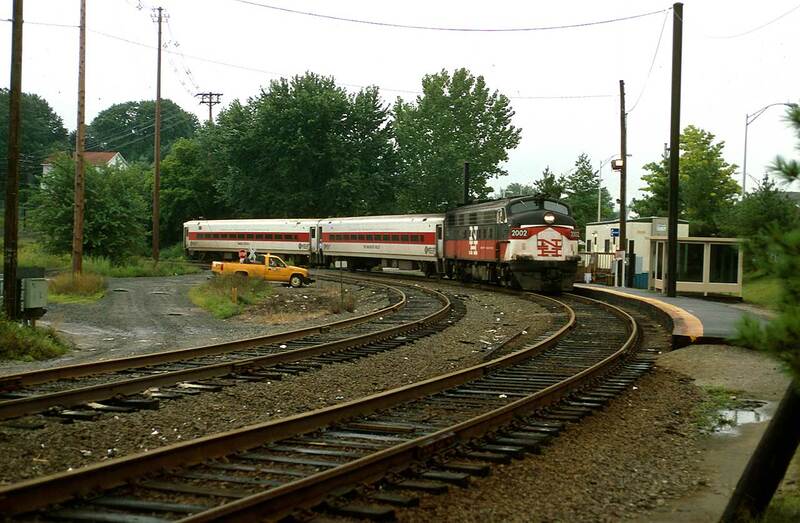 Having moved on to Bethel CT, the train seen previously is returning from Danbury to South Norwalk. In the present environment it is a great pity that the overhead wires were removed. August 1994. Still at Bethel and the train is returning to South Norwalk. August 1994. 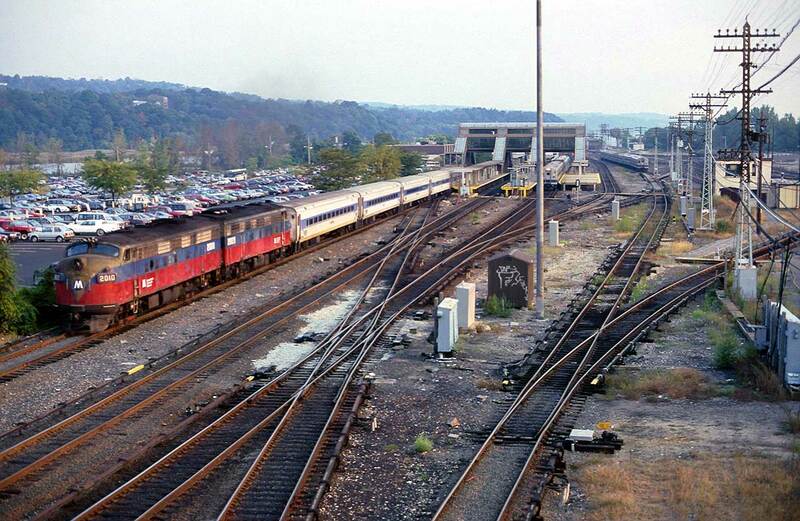 This is Danbury CT and the end of the line for the service from South Norwalk. The original station has now been closed and temporary accommodation has been provided awaiting the construction of a new station. August 1994. At Danbury and all along the route from South Norwalk the remains of the former electrification may still be seen, some masts still standing and some ignominiously disposed of in the undergrowth. August 1994. Deep in the depths of Grand Central Terminal, New York City This train is waiting and ready to return the evening commuters home. August 1994. Later in the week we are at Garrison NY. 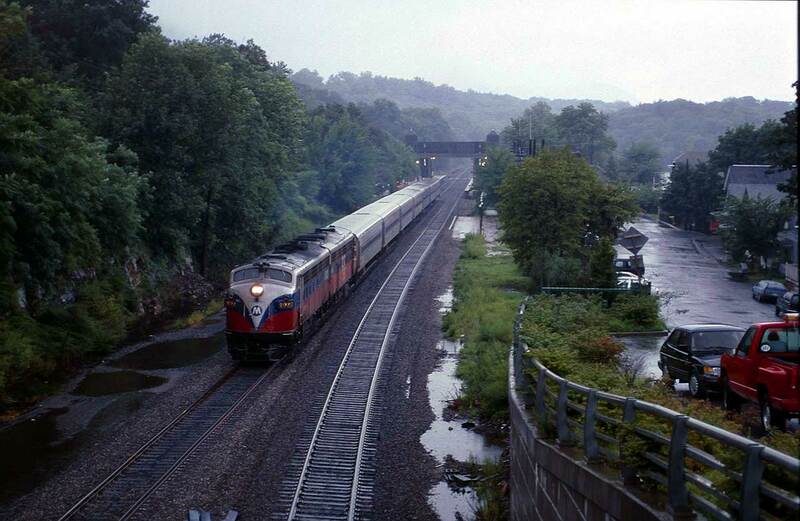 The weather in the Hudson Valley is not always favourable for railway photography and perfecting the skill of balancing a camera in one hand and an umbrella in the other was essential to capture this scene of a Poughkeepsie bound service. August 1994. We are just north of Storm King Tunnels the following day. What a change in the weather. 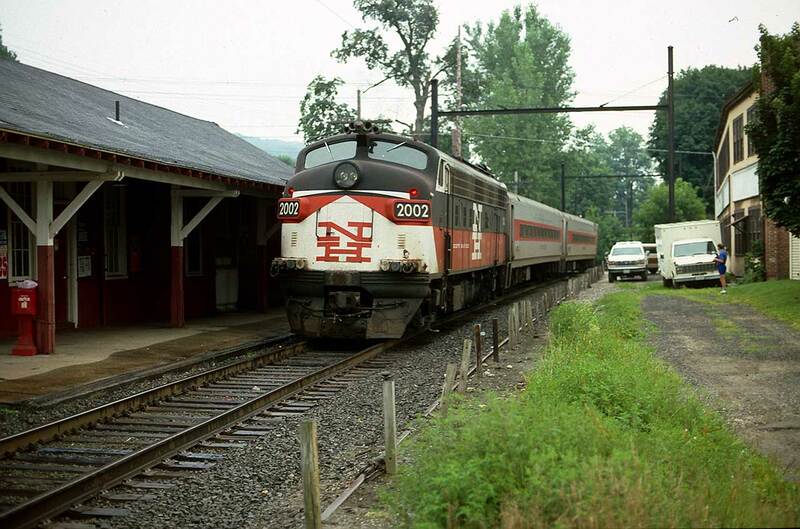 A single rebuilt FL9AC heads for Poughkeepsie. August 1994. From a vantage point above Storm King Tunnels we have a view of the same train as above returning to collect more commuters from New York. August 1994. On now to 1997. 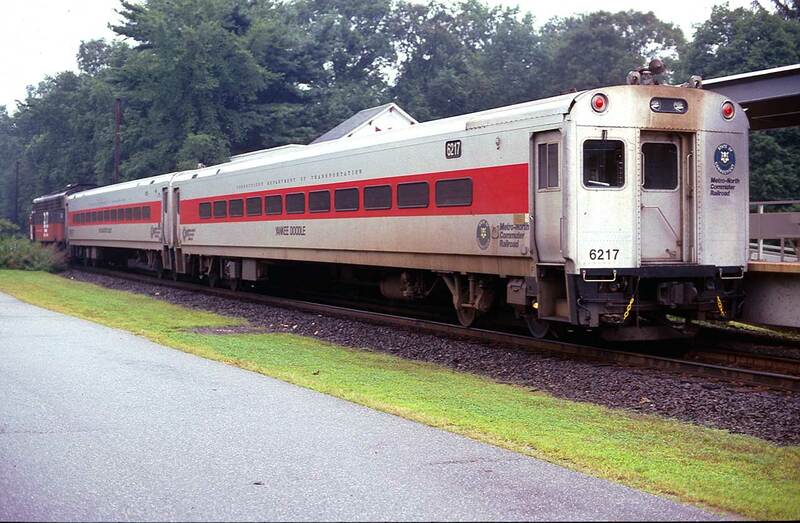 We are at Beacon Falls just in time to see the Bridgeport to Waterbury shuttle service. May 1997. 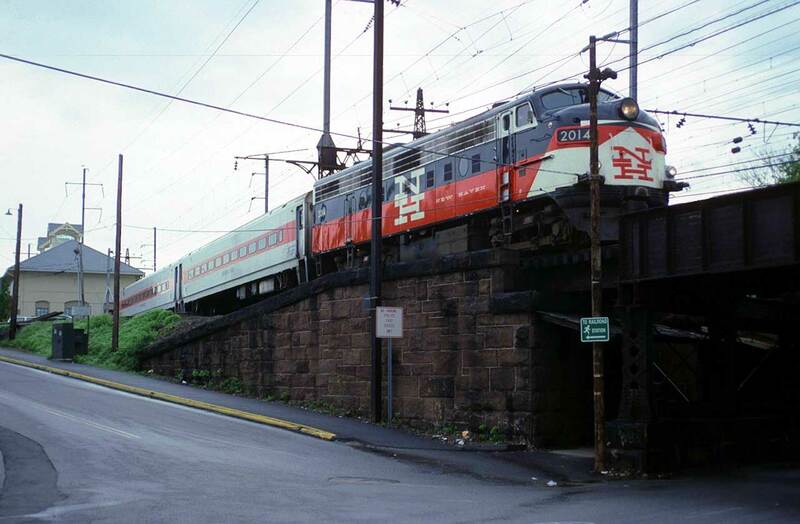 Bridgeport CT and the shuttle service to Waterbury is ready to depart. May 1997. 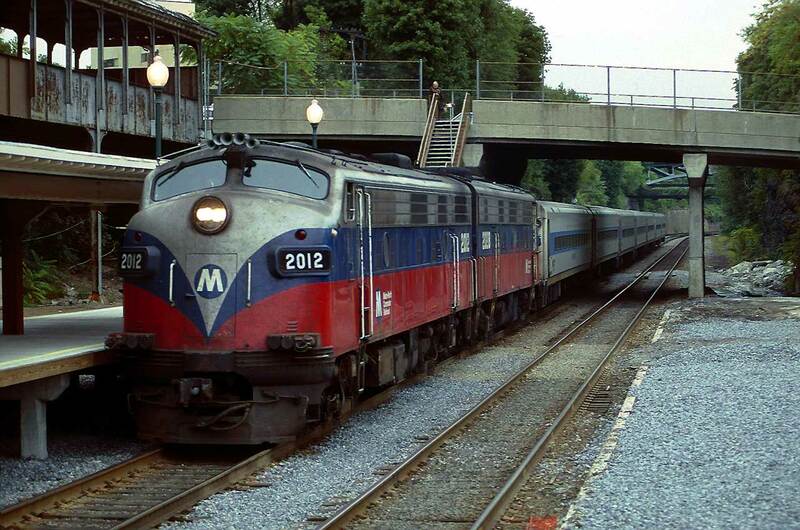 We are at Cos Cob CT and the evening peak trains are returning commuters home. This opening bridge is across the Mianus River. Not that this is a problem to the diesels but the catenary does not cover the moveable section resulting in that the electrics must have a reasonable turn of speed to cover the gap. 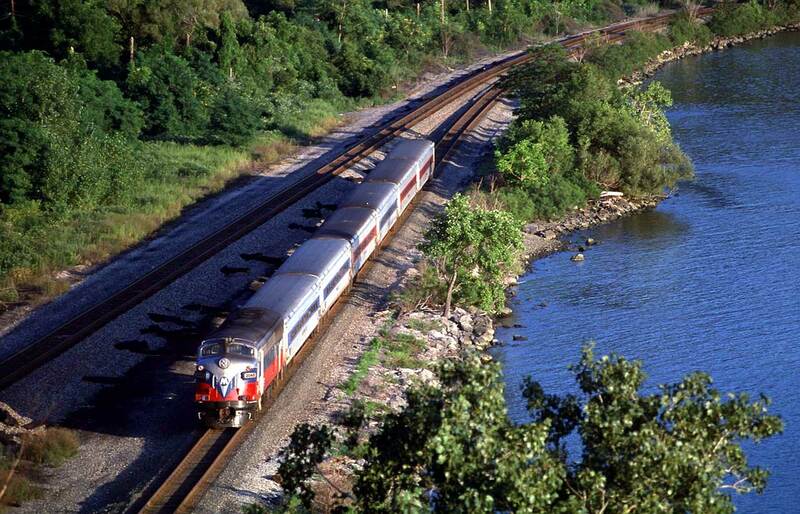 Here we see an FL9 + FP10 combination heading north. May 1997. The next day we are at Danbury CT. If you want to see the FL9 departing for New York an early rise is required. This is around 07:00 and the locos are ready to push commuters to New York. May 1997. 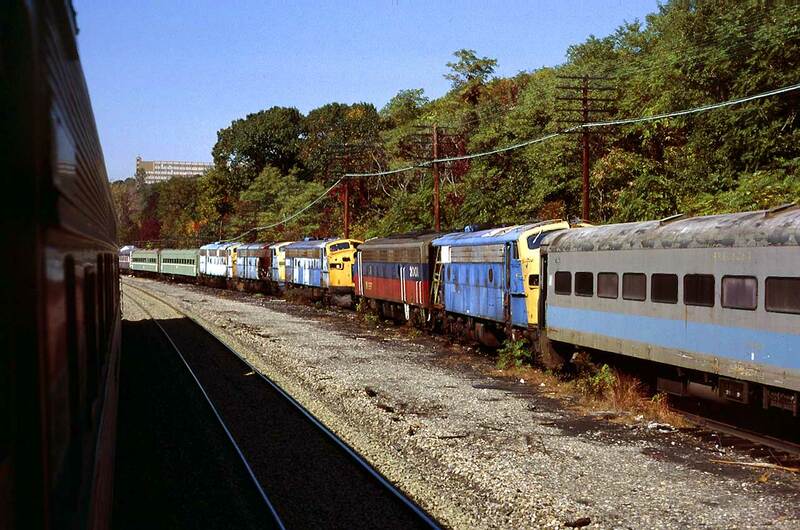 Moving over to Croton Harmon we see a FL9 + FP10 combination at rest. May 1997. On now to 2001 and the FL9 has become an endangered species and not that easy to find. Our final view of the FL9 in action in the wild is at 18:50 on Thursday the 6th September 2001 as an evening service heads for Poughkeepsie. 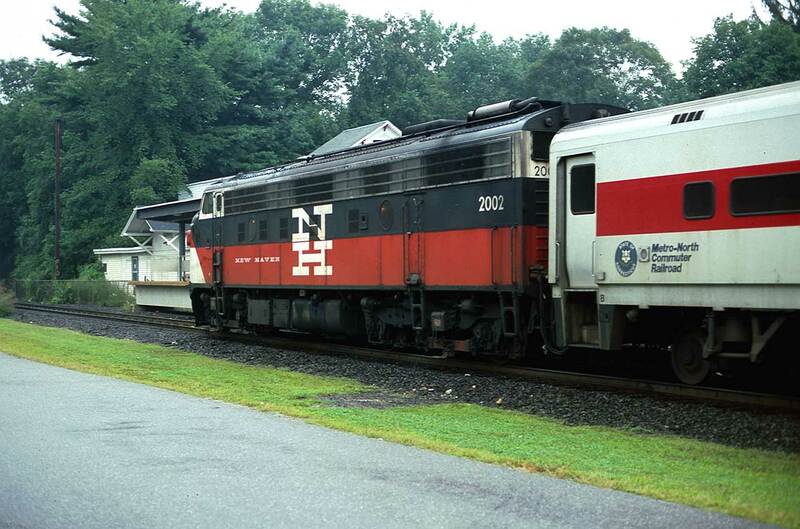 The next day we visit the Danbury Railroad Museum. 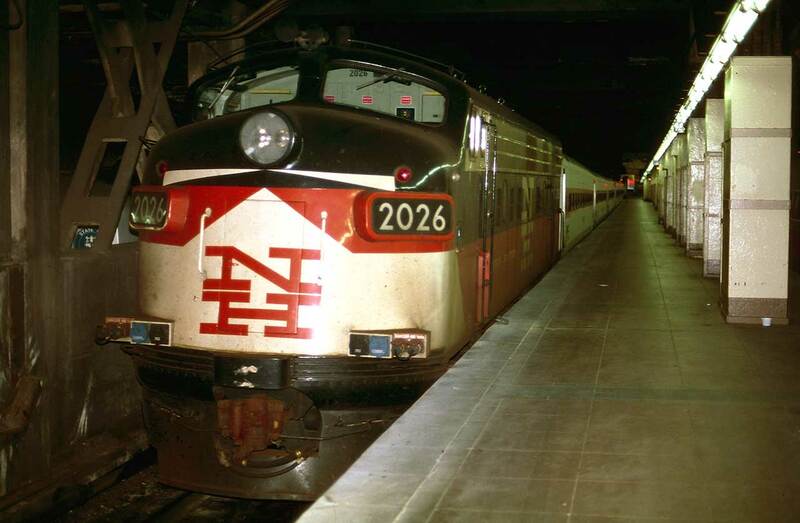 Although originally an FL9 was demonstrated to the New York Central Railroad it resulted in no sale, the New Haven being EMD's only customer for this model. This is what could have happened. September 2001.